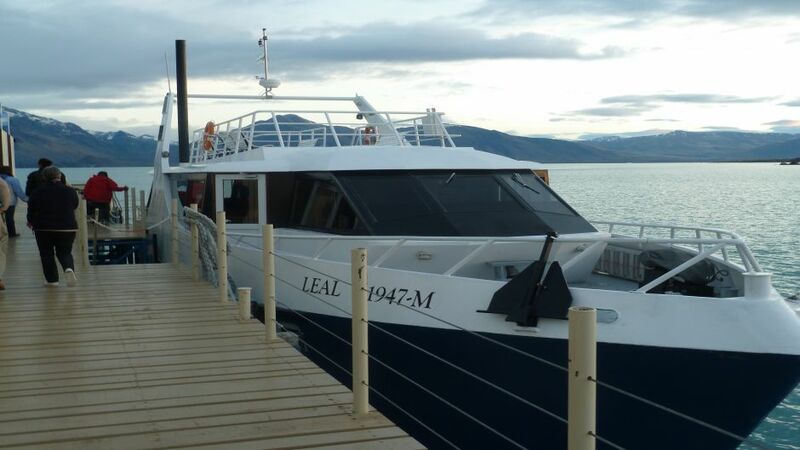 Transfer from hotels in El Calafate towards Punta Bandera. Boarding at 8: 30/9: 00 pm at the Private Puerto La Soledad (Quiet Bay, Punta Bandera). 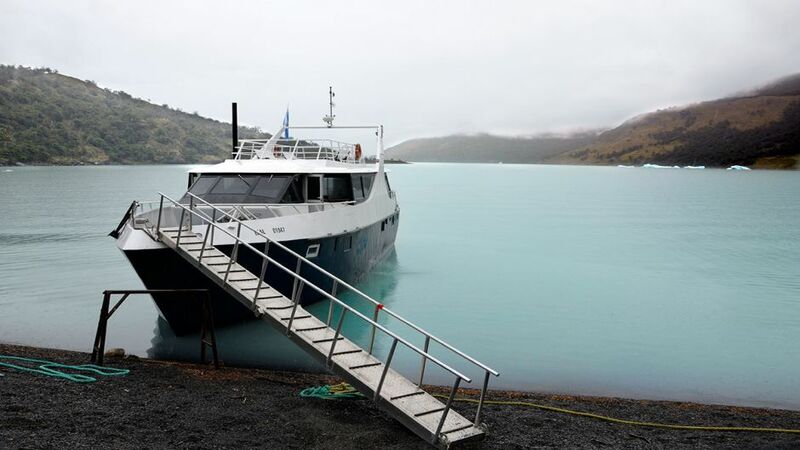 The tour starts with northwesterly direction, passing through Punta Avellaneda and Boca del Diablo - the narrowest passage of the lake, with a width of approximately 800 meters -. 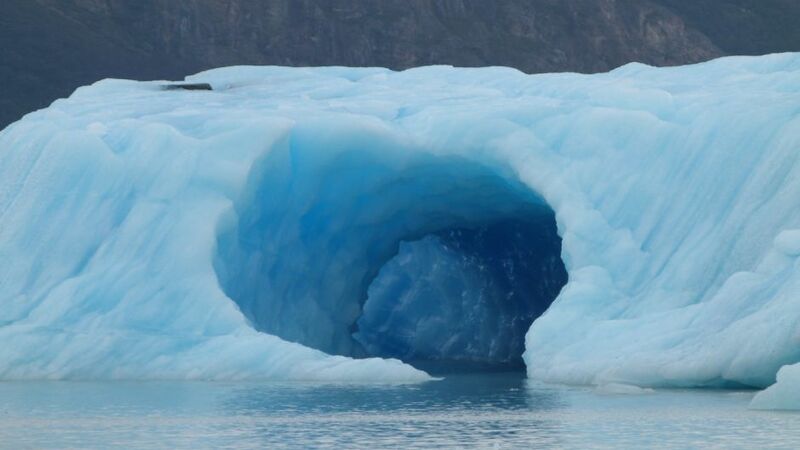 After two hours of sailing, the succession of icebergs from the most varied colors and shapes announces the proximity of the Upsala Glacier. 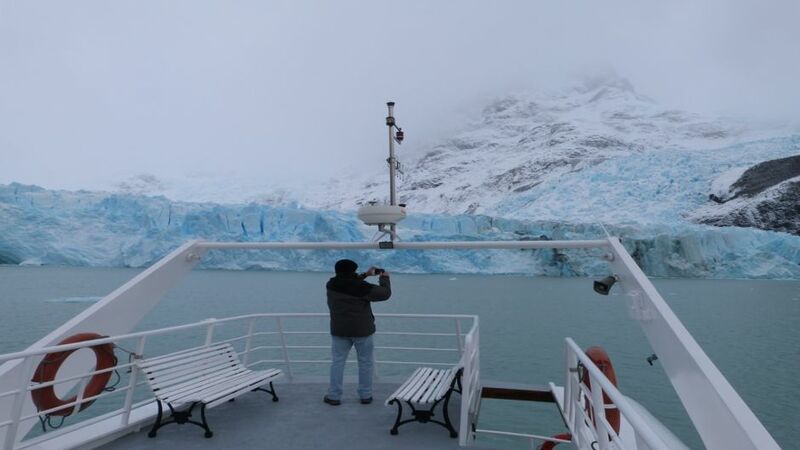 We stop in front of the iceberg barrier that temporarily prevents the entry to the Channel Upsala, and if weather conditions permit, we admire the Upsala Glacier in the distance. 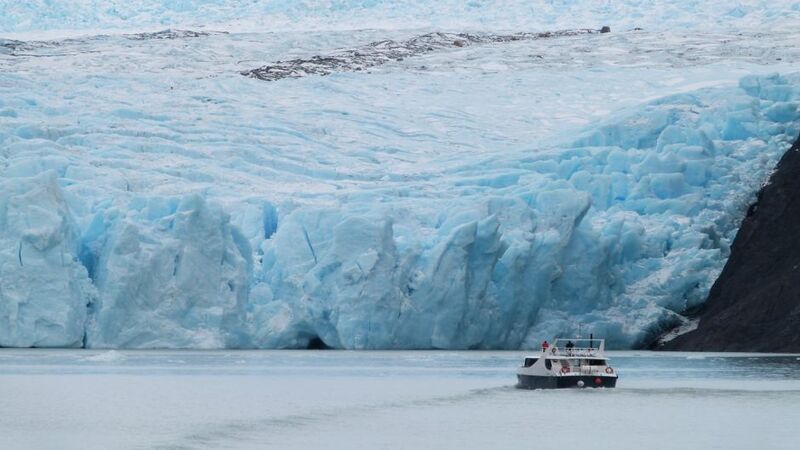 We continue southbound sailing the Argentinean lake and take the Spegazzini Canal to reach the glacier of the same name. The navigation allows a striking approach to this glacier that has front walls of between 80 and 135 meters above the lake level. Lunch enjoying this wonderful landscape is served. Towards evening the Crucero Leal reaches Cows Post-Bahia Spegazzini- extremely quiet inside the canal, where muted their engines to allow passengers to share an interesting walk coordinated by our team of guides. 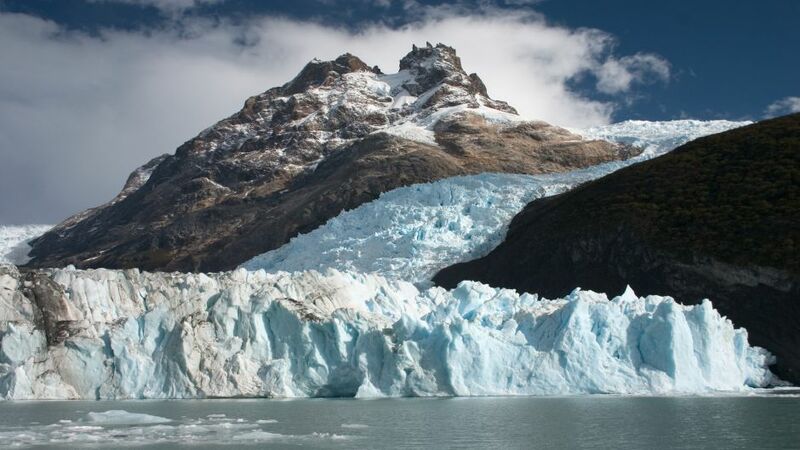 This decrease is possible to see magnificent viewpoints of Spegazzini Glacier. Later return by the North Arm is undertaken, to be arriving at La Soledad private port at 18: 00/18: 30 pm. Note Route subject to change as it sees fit the captain, for the safety of passengers. 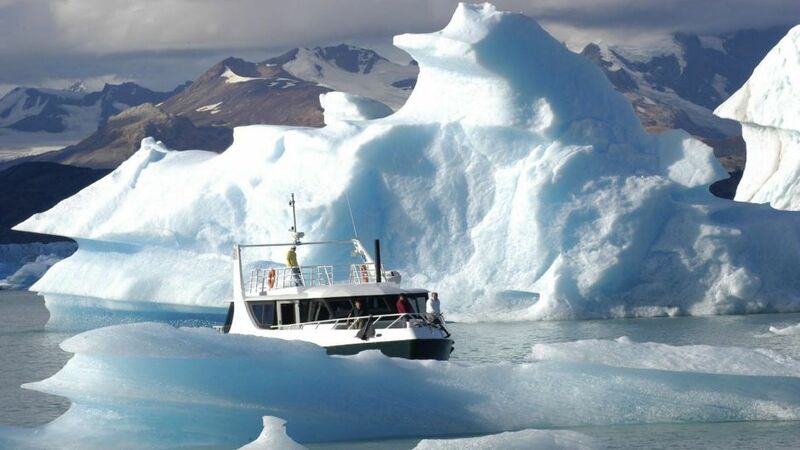 The program includes: Navigation Lake Argentino, visiting the iceberg barrier Upsala Canal (which temporarily prevents the approach to Upsala Glacier) and the impressive Spegazzini Glacier. 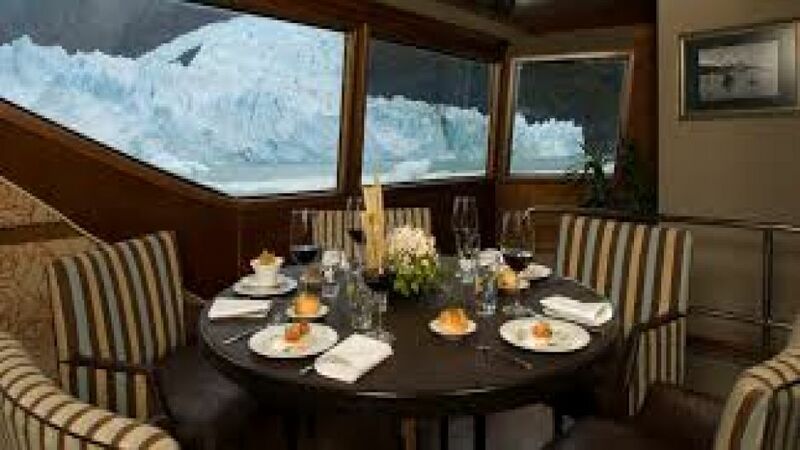 Gourmet lunch on board with alcoholic and non-alcoholic drinks included. Since landing in cows. Tea and soft drinks during the tour. Activities on board accompanied by bilingual (English-Spanish). Menu TASTING Empanadas. Cut steak knife. Gravelax. Salmon with chive cream and eggs. Cappuccino. Lake trout, asparagus and Parmesan air. Lamb casserole. With mushrooms, bacon and sweet potato chips. Amarula Cream. With dark chocolate and caramelized hazelnuts. Candy. Flambéed fruit mojito foam station.